Even though the Biggest Loser WAS on tonight... it doesn't have anything to do with my post tonight. (Except for me to say that I think Arthur is STUPID). Nope... my blog title is referring to a challenge that we are having at work. It started about a week ago, but I just got on board Monday because of the whole strep/flu thing. Our at-work Biggest Loser challenge will go until Spring Break (March 11, I think) and there will be TWO winners. One person with the most pounds lost, and one person with the largest percentage of weight loss. So far, I think there is about 17 people signed up, and we all put in $10. Let me just say... I'm excited! Two days in, and I have had two PERFECT days. I have journaled my food, stayed within my calories, and made good choices. Accountability at work is going to be a BIG motivator for me. I know that people are watching... and I really wanna win! And guess what else? One of my co-workers and I are going to be workout buddies. We went to work out today, and I did a total of 50 minutes: 26 on the elliptical, 14 on the bike, and then we walked for 20 - 25 minutes. 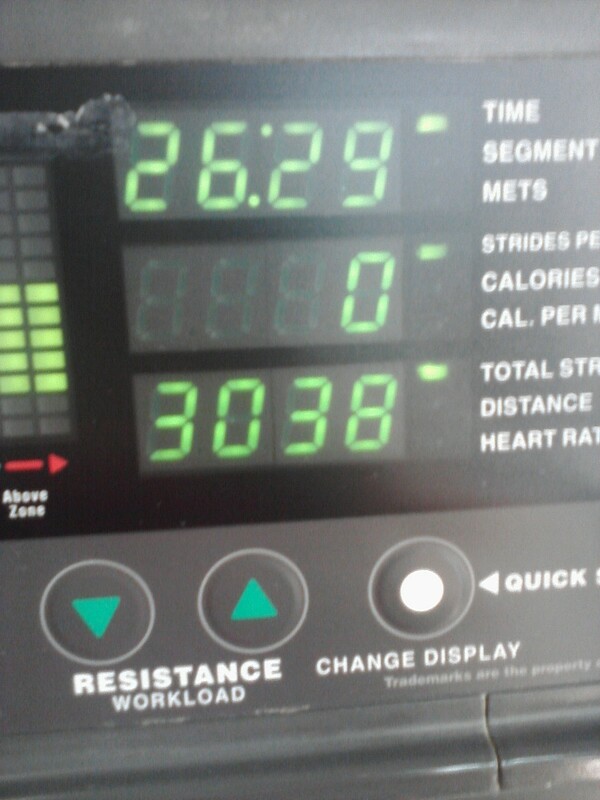 I will admit, if I had been by myself, I would have only did the 30 minutes on the elliptical. I forgot my IPOD, which is a gym tragedy for me. So I bought some cheap headphones and plugged in to watch TV until my friend got there. We got on the bike together and then went to walk on the track. It was fun to have a buddy! I am wiped out and ready for bed. Tomorrow we are supposed to get snow again. I will be SO HAPPY when Spring is here. It is so great to have the support of your co-workers. Afterall, we spend a good chunk of our lives at work. I think it is fabulous you have workout buddies now. I hate doing it alone! Its just funner all around when you have someone to share the pain and joy with. This is awesome, Hollie! Not only do you have a workout partner (which I'm jealous about), but you have a chance to win some $$! How cool is that?! Oh, and I agree, that Arthur is STUPID. I'm watching The Biggest Loser as we speak. SO MAD!! I must say you are doing the right thing. Congratulations to you and your coworkers. Mostly its the office freebies that cause me overeating. I am glad you found a work out buddy, someone to keep pushing you when you want to stop and the same someone you can push that little more when they want to stop. Keep it up! Sweet! A challenge at work and a workout buddy will give you so much motivation! I wish I could get into some biggest loser challenge. Also, I soo know what you mean about no ipod during a workout being a tragedy. Wow, what a great idea. I wish my work would sponsor something like this. I would feel too embarressed going around asking overweight people to participate. Its sorta something people have to decide to do themselves. But its truely awesome that you have that sort of support. And $170 ain't too shabby in the way of a prize. I hope you do really well. That's awesome! Not to mention when you win, you get some cash to!! Cash always seems to motivate me :) Keep it up, you can do it. I wish there was someone I could workout with. Mostly everyone is about to head to work when I hit the gym in the morning, or they just don't want to go. Lovin' your blog!! I got angry at Arthur. I saw him nosh on those candies and I thought that he doesn't deserve to be there at that farm...someone else who wouldn't have caved in (in a disgusting display of binge eating) should've been there instead. I can only hope that he "gets it" at some point. If he keeps giving in to food that's out (I recall the chicken that he ate the last time), he's doooooomed. I am trying to get my coworkers to do this! Good luck! That's cool, we're doing the same challenge at my work, we're 4 weeks in. I've only lost 5lbs so far, but I hope I can stay on track starting NOW. Fabulous blog! I'm new around here, and your blog id the first one I came across, and I love it! SkinnyHollie! I love your blog. I'm inspired. I'm new to the blog, but really appreciate how you have shared your fresh start with the world advocate the concept of coming together to create a network of support. Excellent. I too am on a journey, I want to reach as many women around the world to let them know they can create the life they want, NO APOLOGIES! I'm from small town USA, had little to no money, became a teenage mom, and now run three businesses from home in Vancouver, BC. BEST of luck to everyone and keep supporting each other it is great! I hate it when I forget my music - especially when I go running. You are so right about exercise going faster with a friend! Last week I met a friend to walk and the time flew by. We were planning on meeting this week but may be snowed in! Thank goodness for workout friends! A work challenge sounds like a lot of fun. Glad you also have a work out buddy. I have found that it helps me be more accountable, not to mention it is just more fun with someone else there! Atta way to go! I am so encouraged that someone else is excited about their progress! Keep up the good work! Arthur is ridiculous! I don't get his whole deal. And what was up with the women's weight loss this week. Damn! Congratulations on two perfect days. Perfect is good! Nothing like a little competition to get the mojo going. Keep it going, Hollie! I think that show might be rigged because Arthur should be gone already based of on his performance. They must be paying off people to leave when they do so they can have a bigger rating for the show. On another note. That sounds exciting to have a workout buddy! Good idea with getting the headphones. 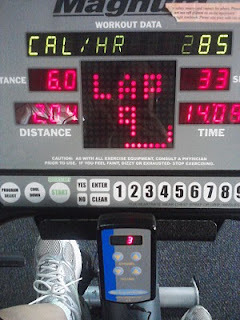 When I used to workout at the gym it felt like torture to hear other conversations for an hour while on the elliptical. I just read this and it inspired me to start my own blog to help me achieve my weight loss ! Good for you !! I am a vetran blogger but I have just started my weight loss blog. I am on day one... and I look forward to reading blogs like yours to help keep me motivated! I agree with you completely about Arthur. I can not believe what he did to his team. I think it is awesome that your work is doing that. Then everyone around you will be trying for the same thing. At my work people right around you are eating very fattening and I try to pass it up. I think it is great if you are all work out buddies. I think it is great about your work, just that way you are surrounded by people who all have the same goal and are cheering each other on. Sometimes I wish I worked in a larger office so that I could do fun stuff like this at work. This sounds really fun!!! Oh and Arthur was sooooo stupid for doing that. It didn't even make any sense! I did feel kinda bad for him once it hit him how stupid he was, lol. Only for a second though.